Israelis who fled anti-Semitism in North Africa and Iraq finally to be recognized under law, like Holocaust and Nazi regime survivors. 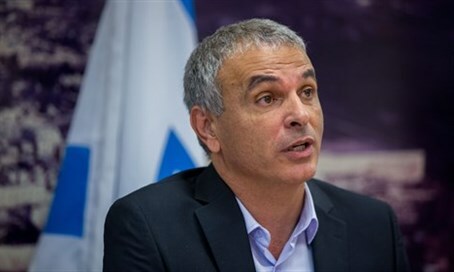 Finance Minister Moshe Kahlon (Kulanu) and Deputy Finance Minister Yitzhak Cohen (Shas) granted benefits to immigrants from North Africa and Iraq on Sunday, in recognition of their suffering anti-Semitism and racism during World War II. Jewish refugees of Arab lands, though they immigrated to Israel at around the same time as Holocaust survivors and victims of Nazi persecution, have not been covered by benefits for either until now. Jews eligible for the benefits would have had to have immigrated to Israel after suffering from the Vichy regime in Morocco and Algeria (1940 to 1942) and Jews from Iraq who survived the Farhud (1941), the violent pogrom against the Baghdad Jewish community. Eligible Israelis would receive an extra 3,600 shekels ($943) in benefits annually and receive full compensation for all prescription drugs included in Israel's health basket. In addition, Jews who were victims of forced labor will now be entitled to the rights of immigrants who fled Nazi persecution, Kahlon ruled Sunday. "The benefits to be granted henceforth to immigrants from North African countries and Iraq will allow them to live their lives with the proper respect," Kahlon stated Sunday. "In this amendment, we made clear that even those who were not directly affected the Nazi regime, we still influenced by hatred, and therefore is eligible for this aid." "It is an honor I have to correct this historic injustice for society and for its elders in particular," he added.